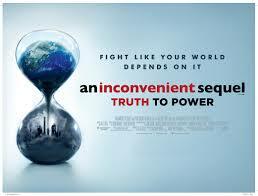 Free screening of 'An Inconvenient Sequel: Truth to Power' hosted by Moreland Energy Foundation (MEFL) and Climate Action Moreland as part of the National Sustainable Living Festival 2018. Doors open from 6.45pm, film starts at 7pm followed by a panel discussion and Q&A chaired by MEFL's CEO Alison Rowe. Panel members will include Peter Khalil (Federal MP for Wills), Clr Dale Martin (Moreland City Council), Cinnamon Evans (CERES CEO) and Andrea Bunting (Climate Action Moreland).